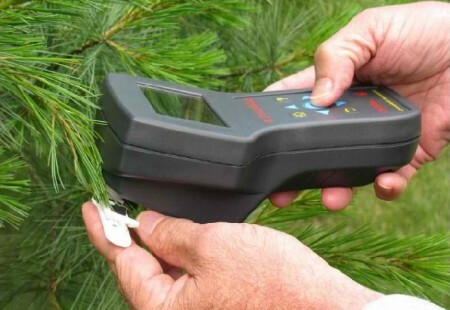 A unique, portable, pulse excitation instrument optimised for the rapid screening of plant stress. 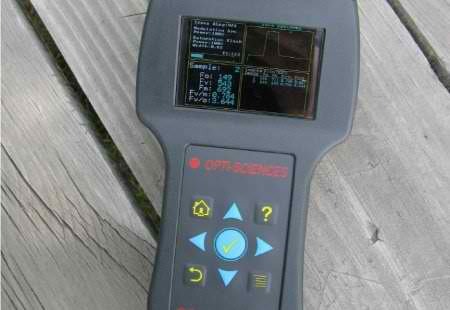 This small, battery operated device consists of a hand-held control unit with integral analysis probe. The control unit features a colour graphical liquid crystal display and weatherproof keypad allowing single-handed operation. 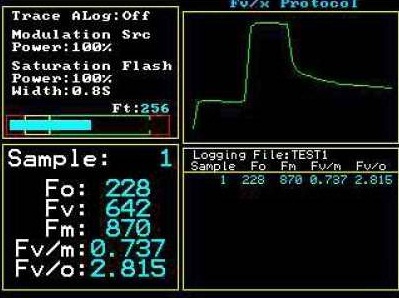 Photochemical efficiency (Fv/Fm) and other standard measurement parameters may be displayed and recorded. 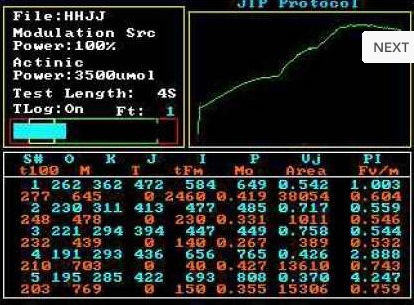 For investigation of high resolution induction kinetics the OS-30p+ has benefited from the addition of a second measurement mode optimized for OJIP determination. The internal memory allows the storage of up to 160,000 data sets and hundreds of induction traces. Data may be downloaded via the high speed USB port. The OS-30p+ is an ideal fluorometer for detailed field analysis and educational applications.